We had the pleasure of designing flowers for a prom held a Lumen. 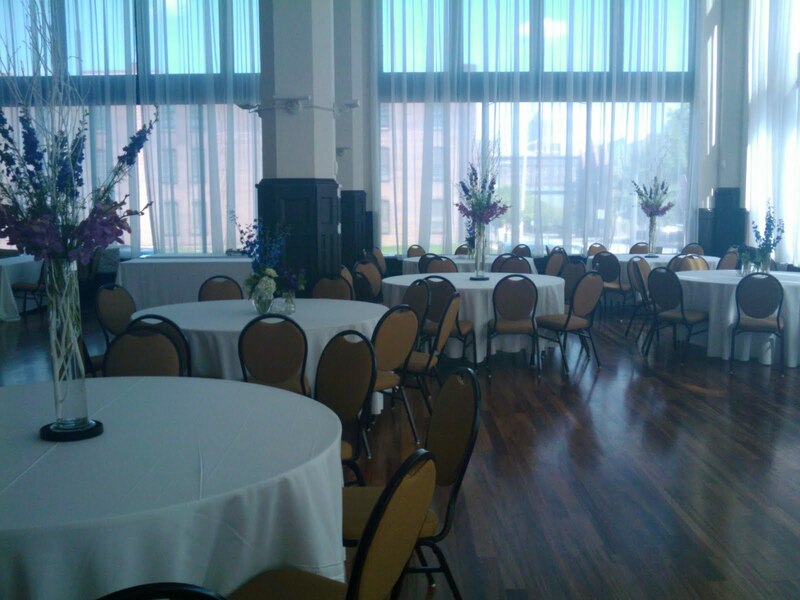 We did some cluster centerpieces and some tall arrangements with up-lights. Here are our snapshots at the set-up. 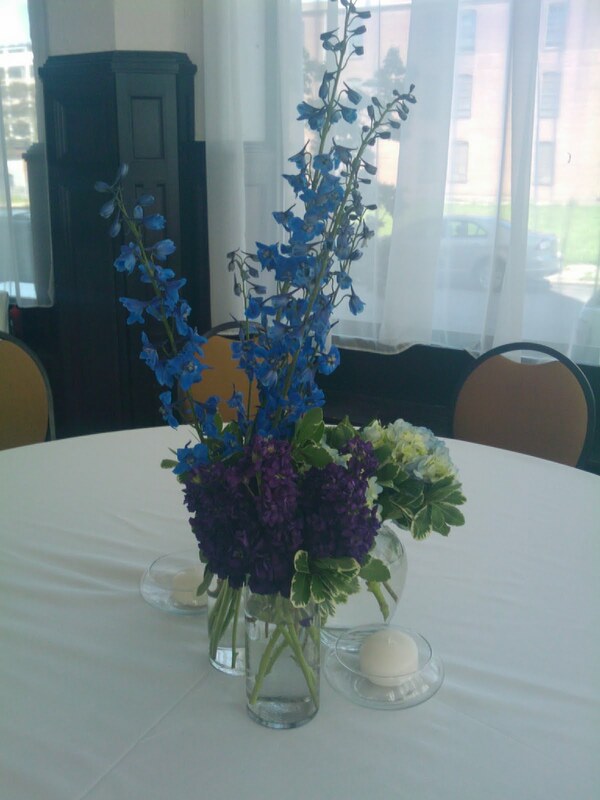 The clusters included three vases all of one type of flower- blue delphinium, blue hydrangea and purple stock. 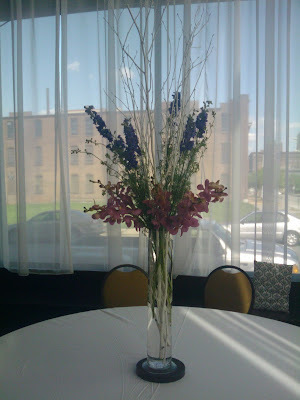 The tall centerpieces were white birch branches with purple larkspur and makara orchids. The whole arrangement was up-lit with an LED disc. 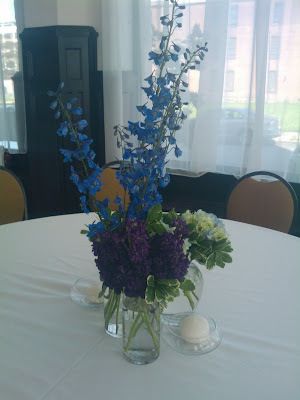 Fun flowers for a fun party!